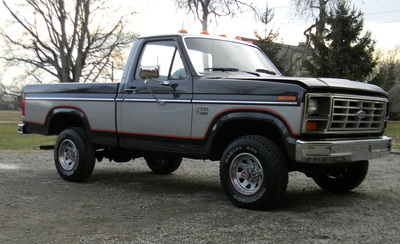 Beautiful truck! 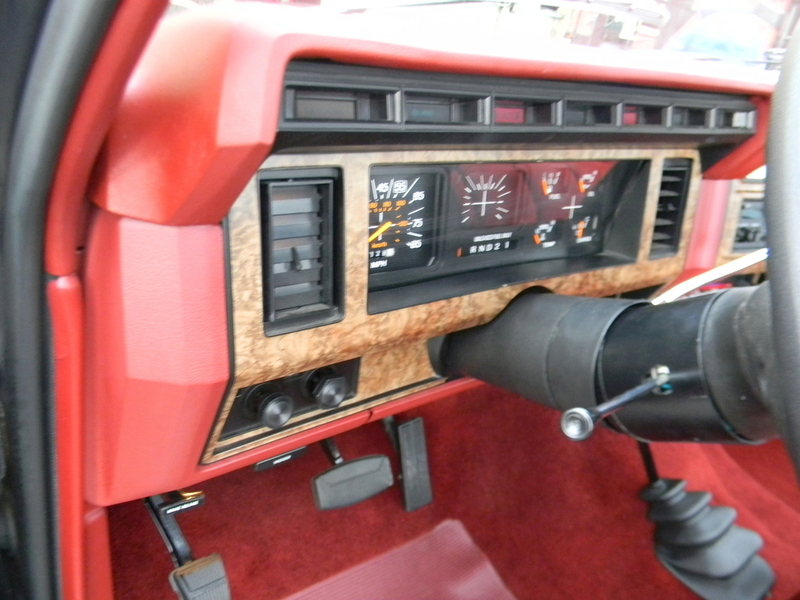 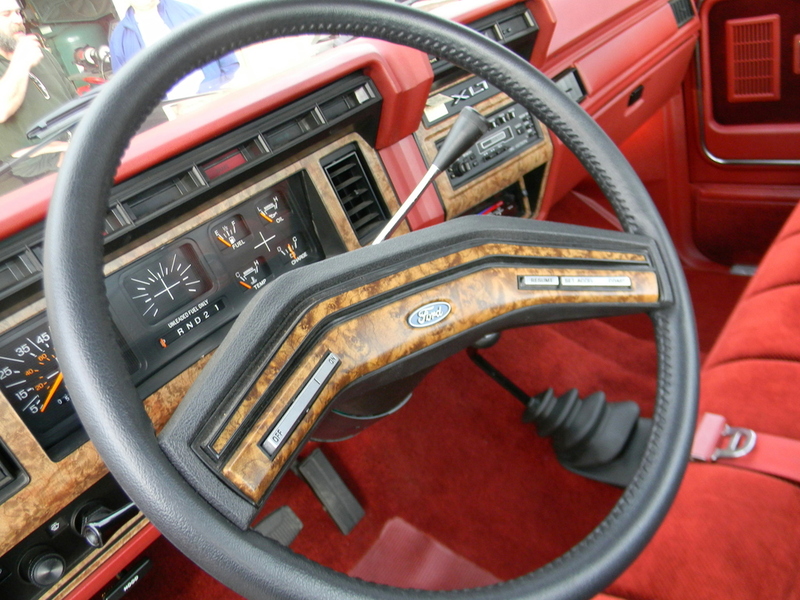 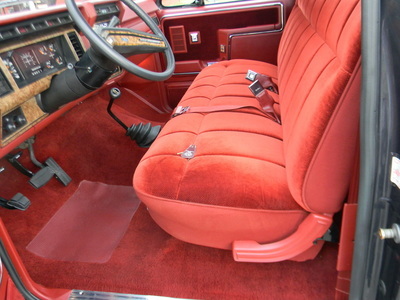 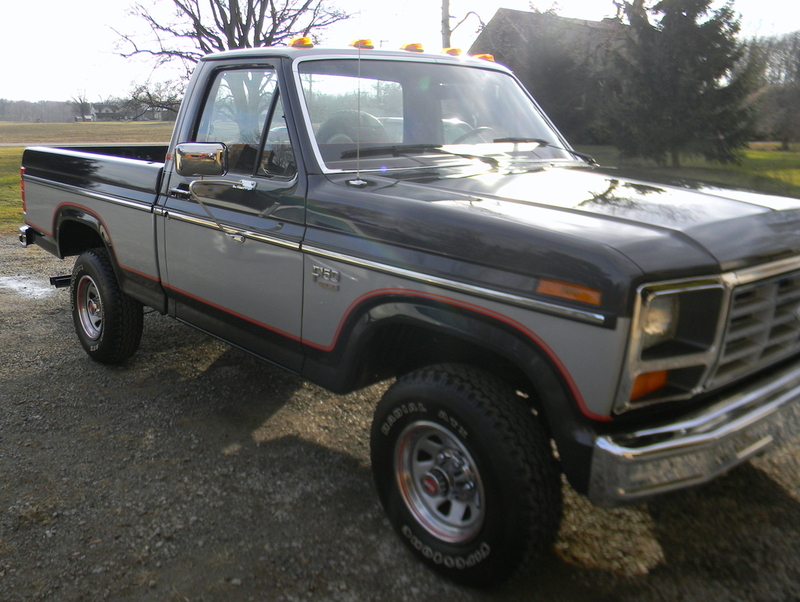 But, I'm not in the market as I have two 1981's, one of which I'm restoring in a true frame-off fashion. 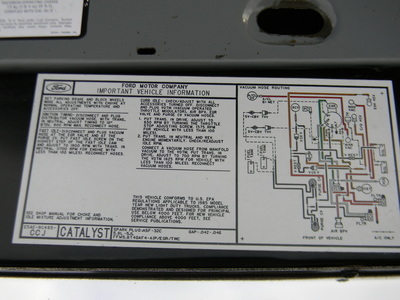 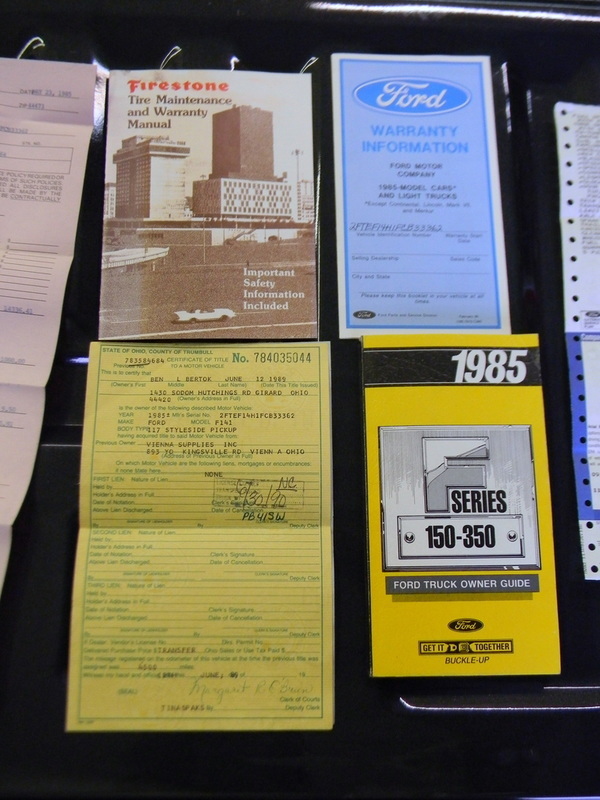 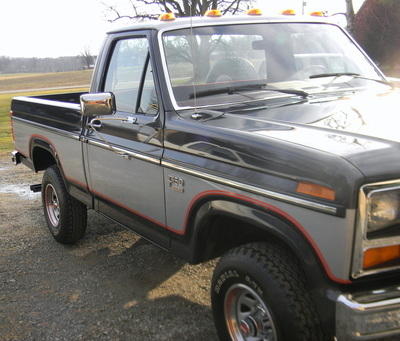 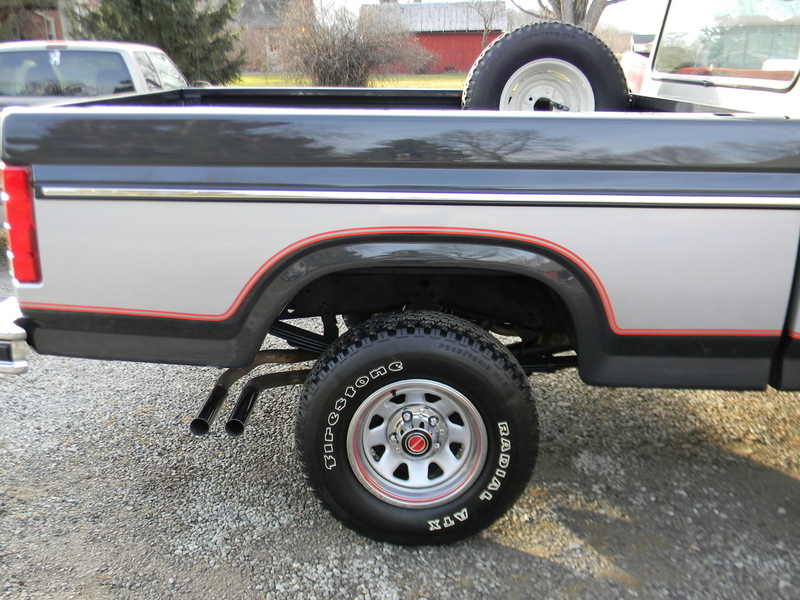 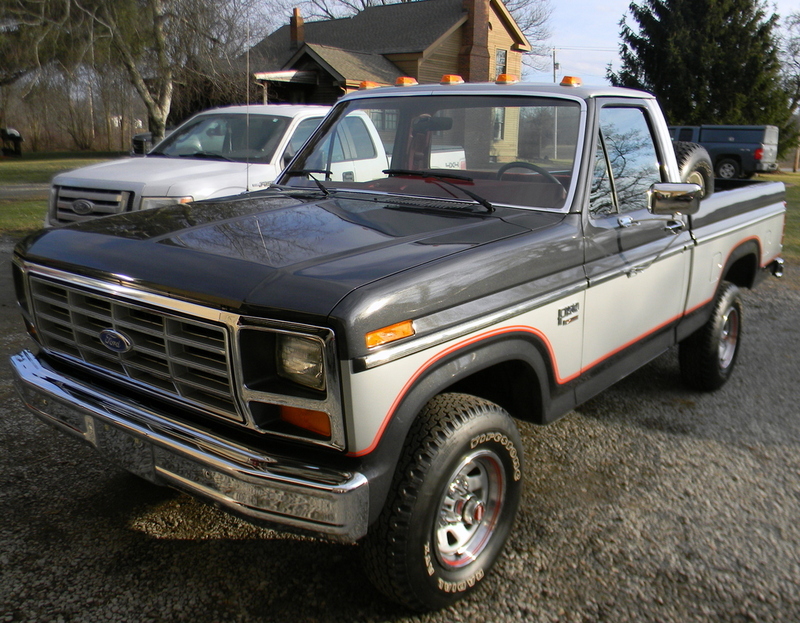 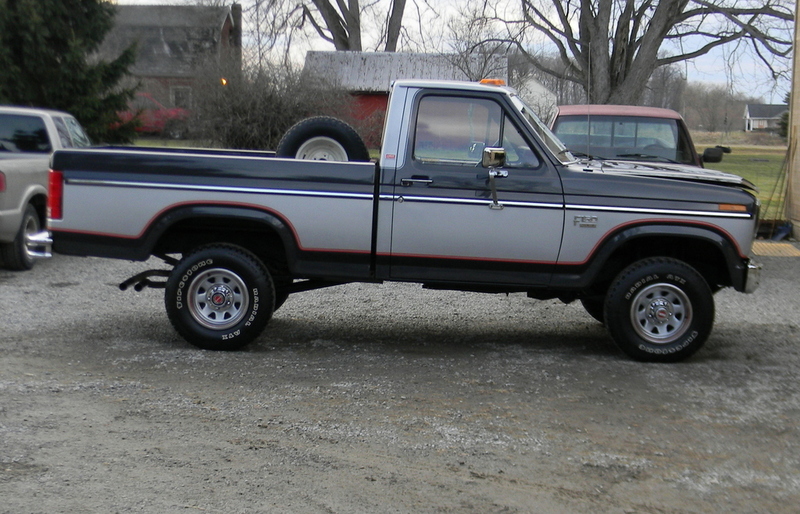 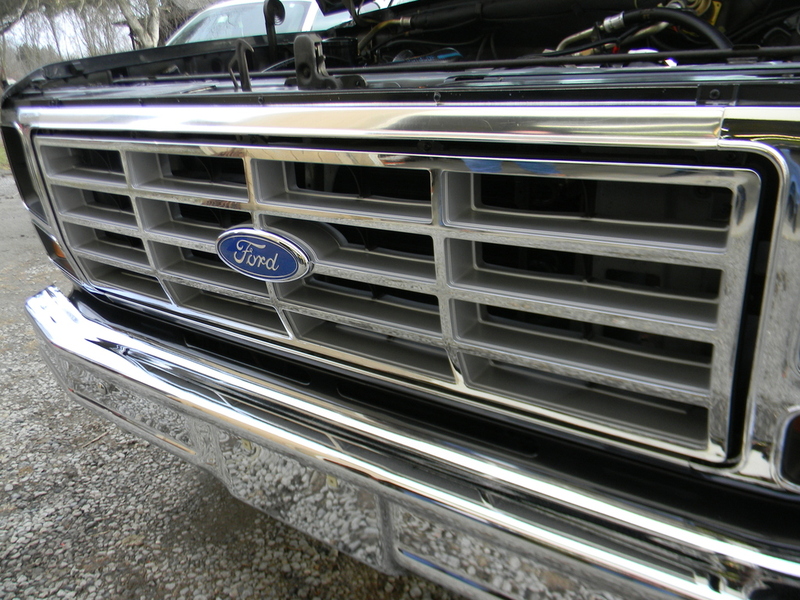 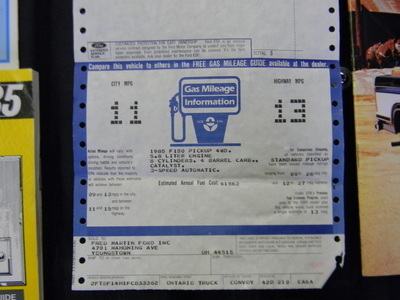 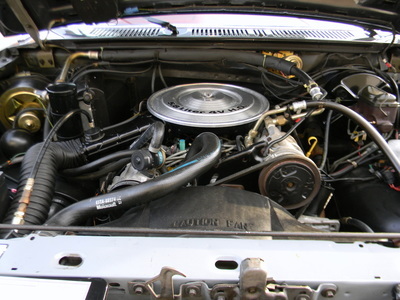 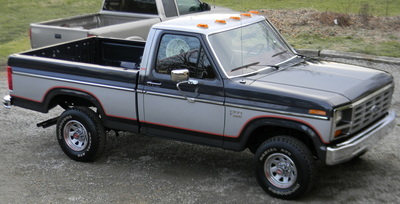 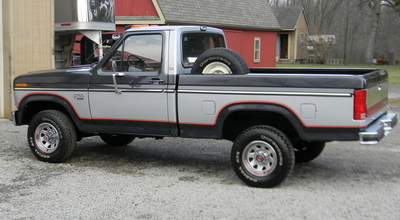 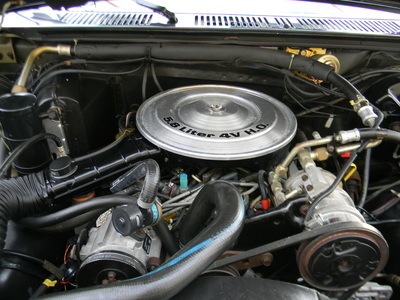 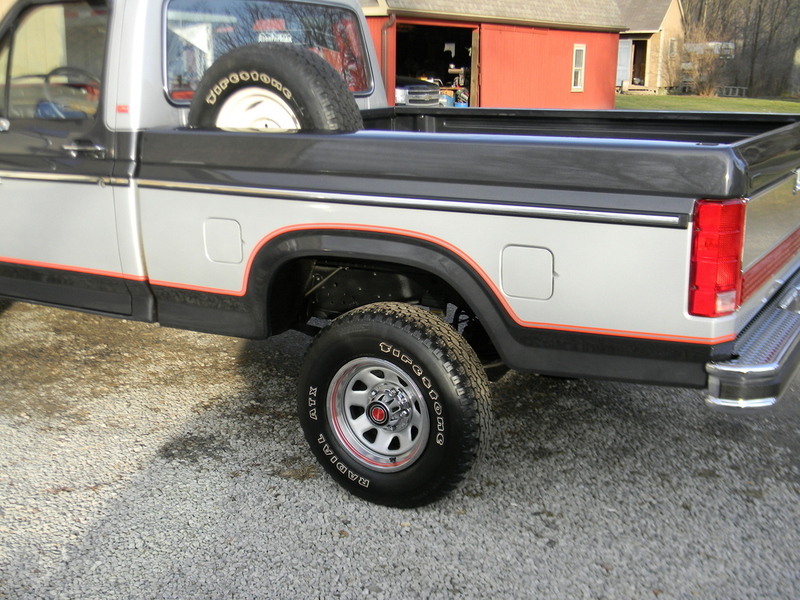 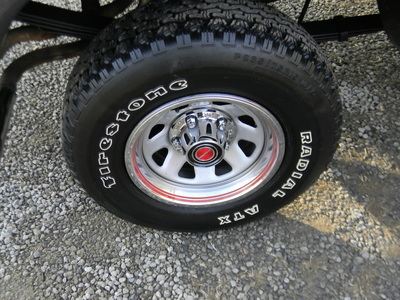 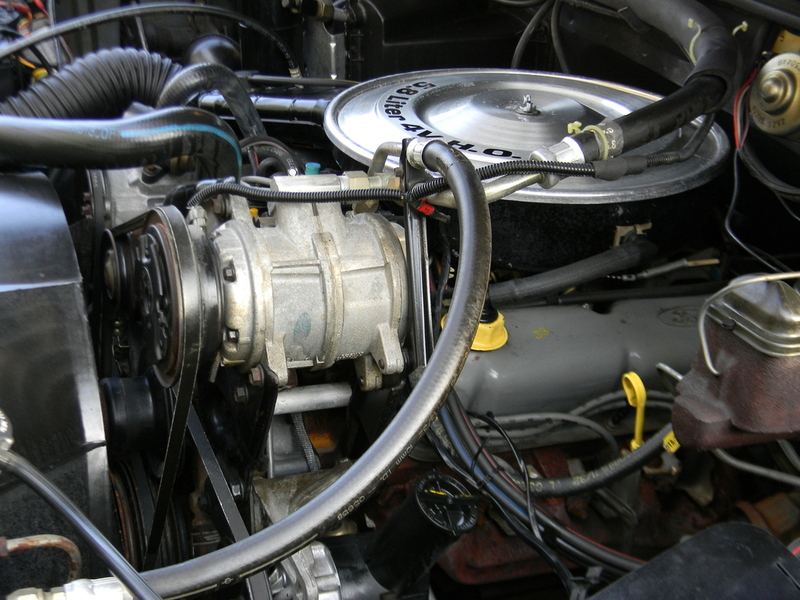 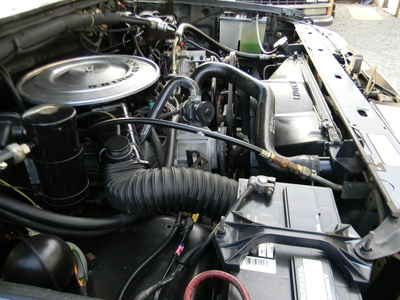 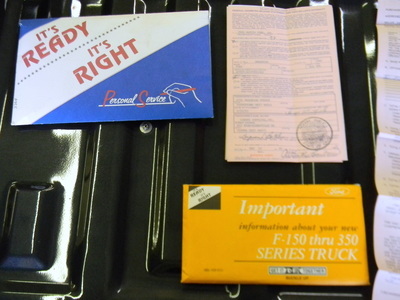 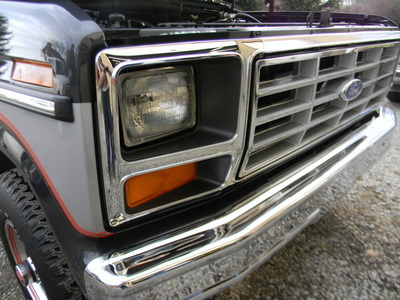 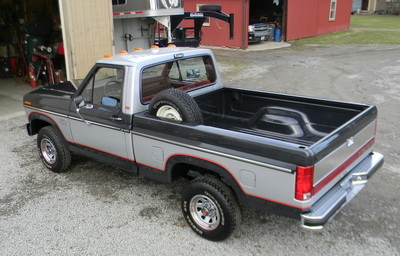 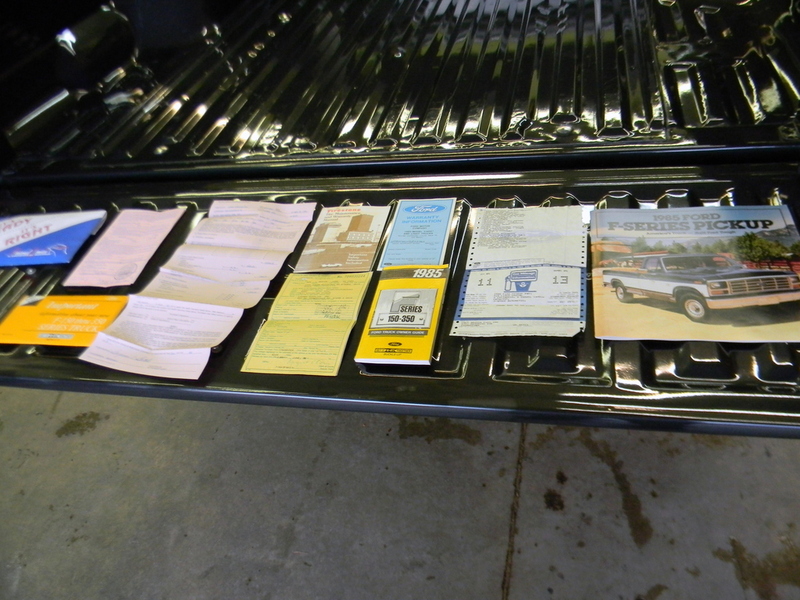 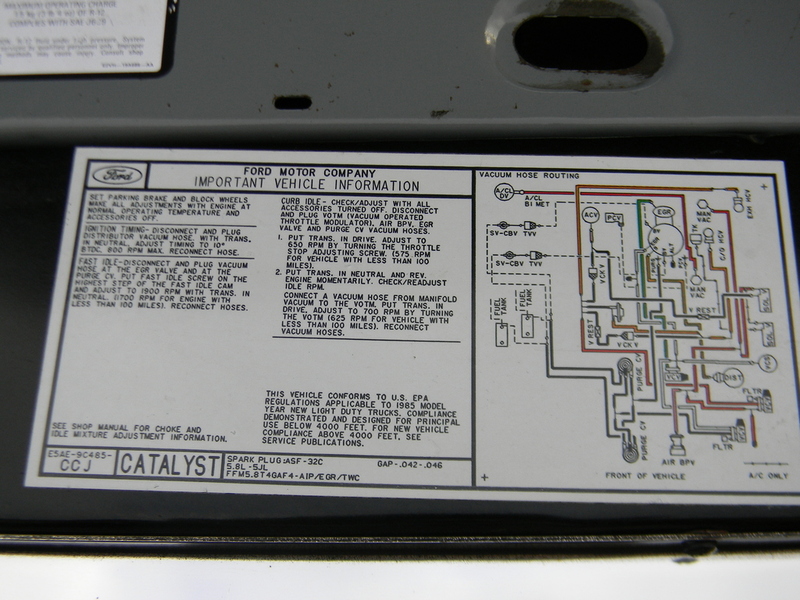 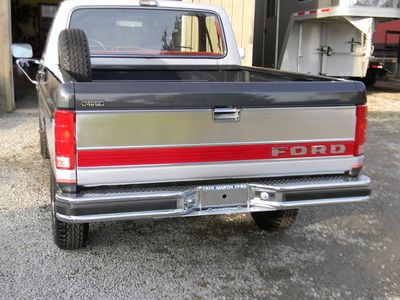 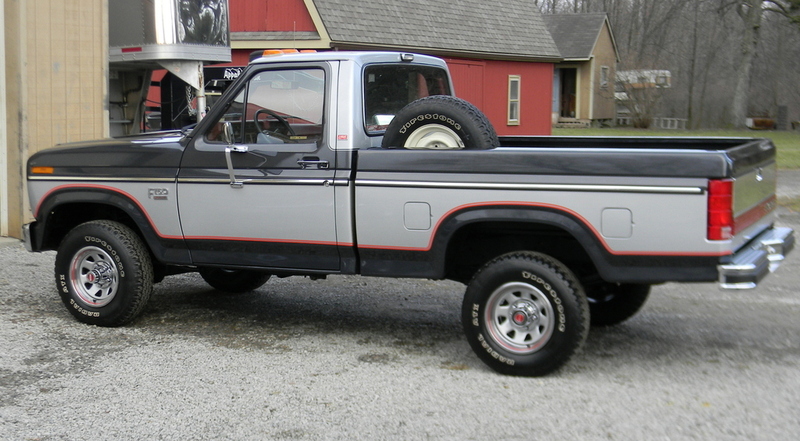 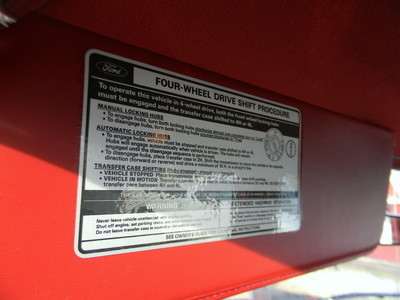 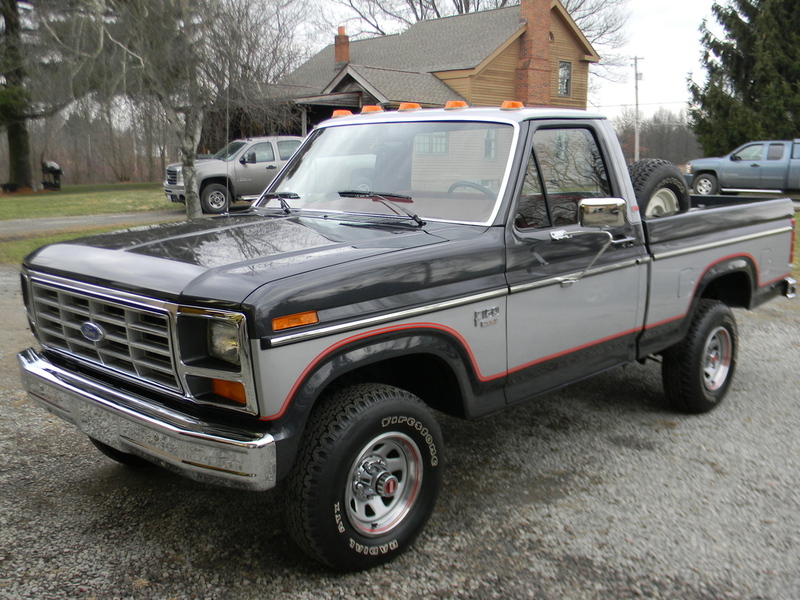 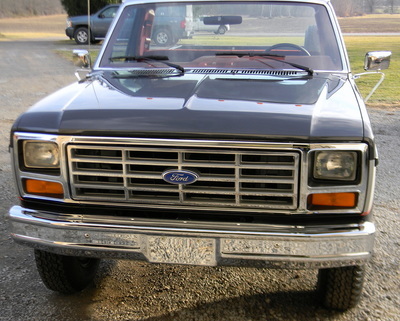 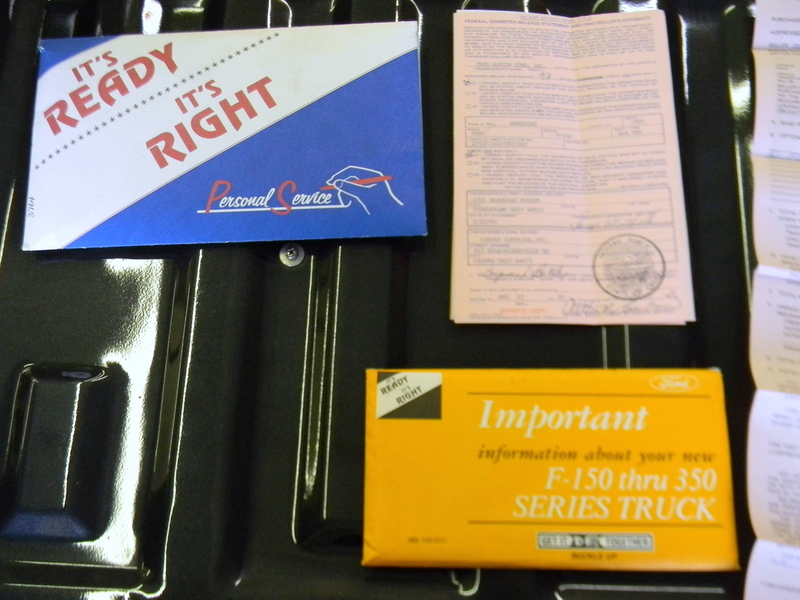 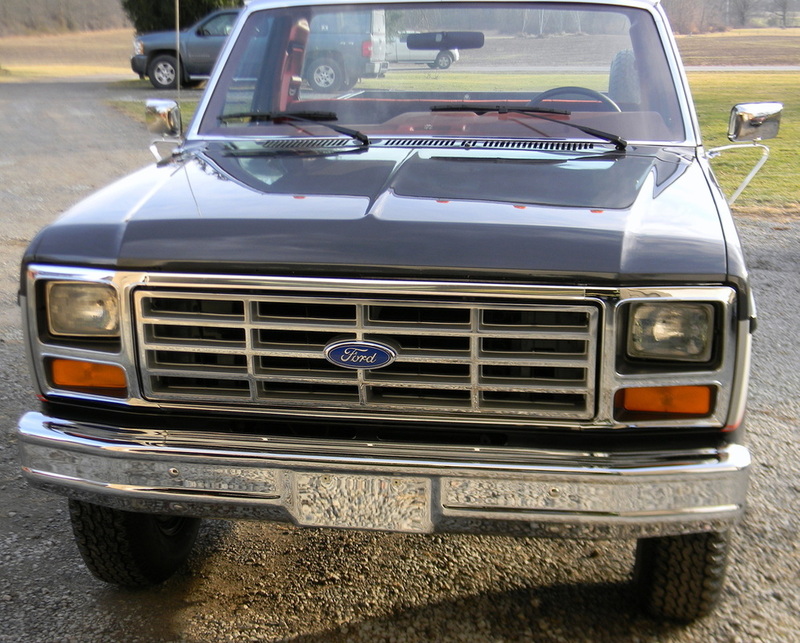 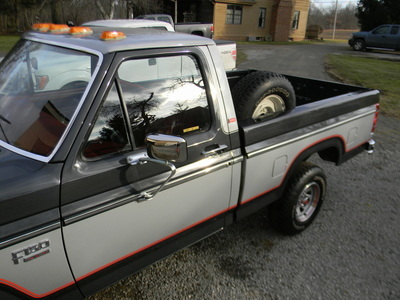 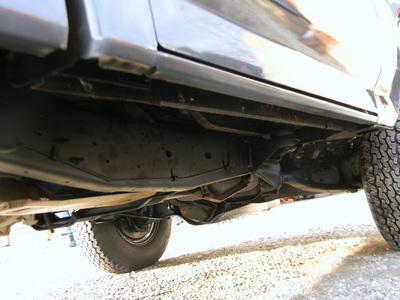 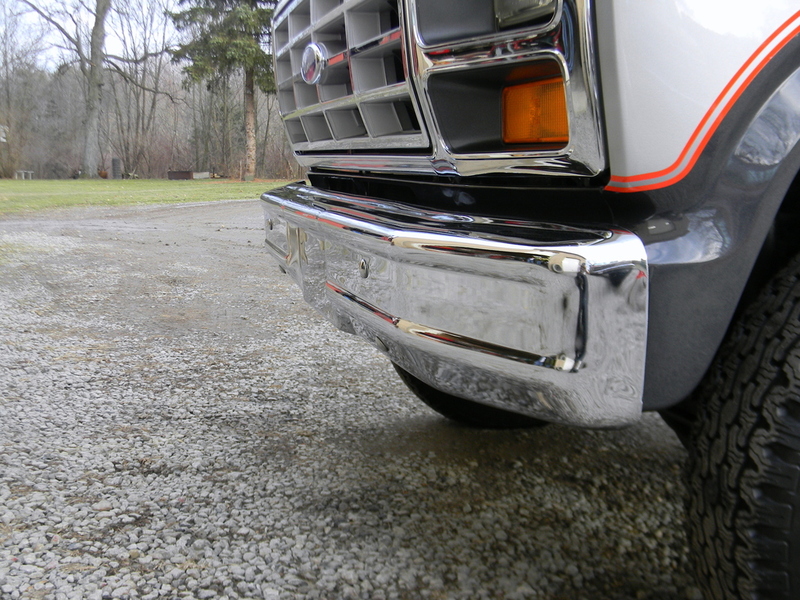 However, I am also doing my best to document the 1980 - 86 Ford trucks, as you can see on my web site (http://www.garysgaragemahal.com/1980---86-ford-trucks.html), where I have over 200 pages of information on them. Would you consent to having the pictures of your truck on there? 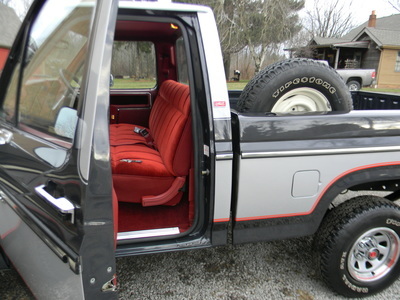 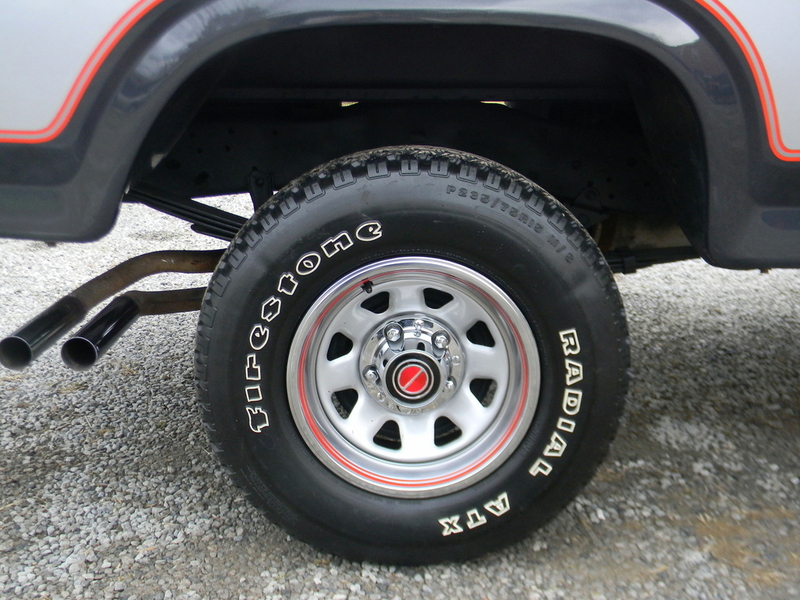 It is similar in shape to the 1983 Bronco I have on there (http://www.garysgaragemahal.com/1983-bronco-survivor.html), and I'd love to capture yours there as well. 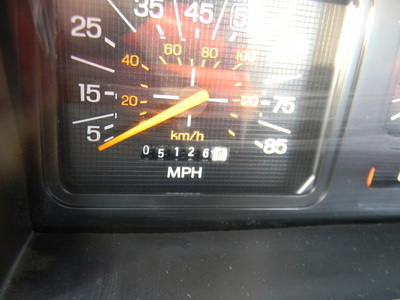 And, the answer I got back with about 12 hours left on the bidding was "No problem sounds cool". 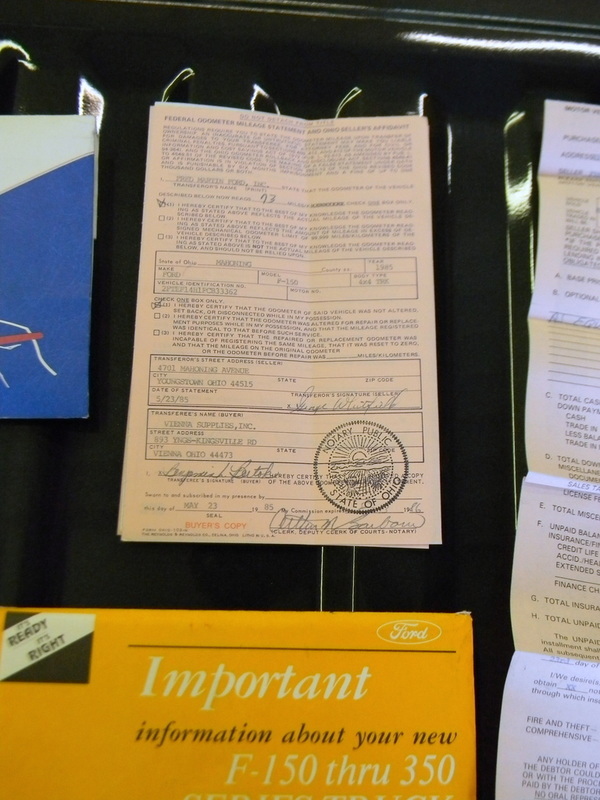 At that point in time, which was 12:00 CDT on Feb 25, 2016, the bidding was at $26,700 with the reserve not met. 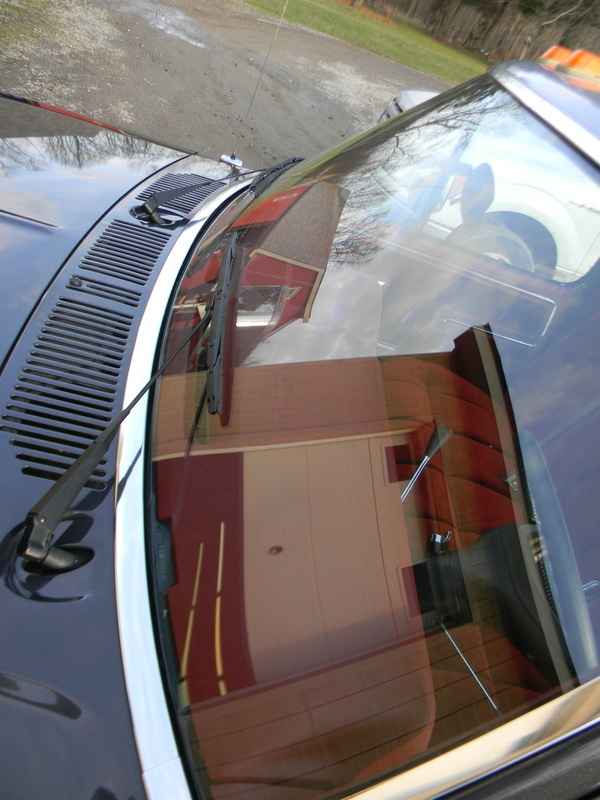 :-) Cool indeed! 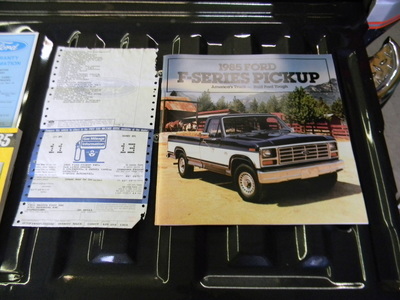 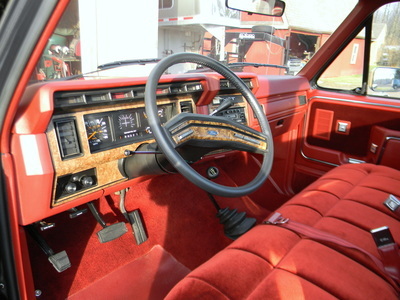 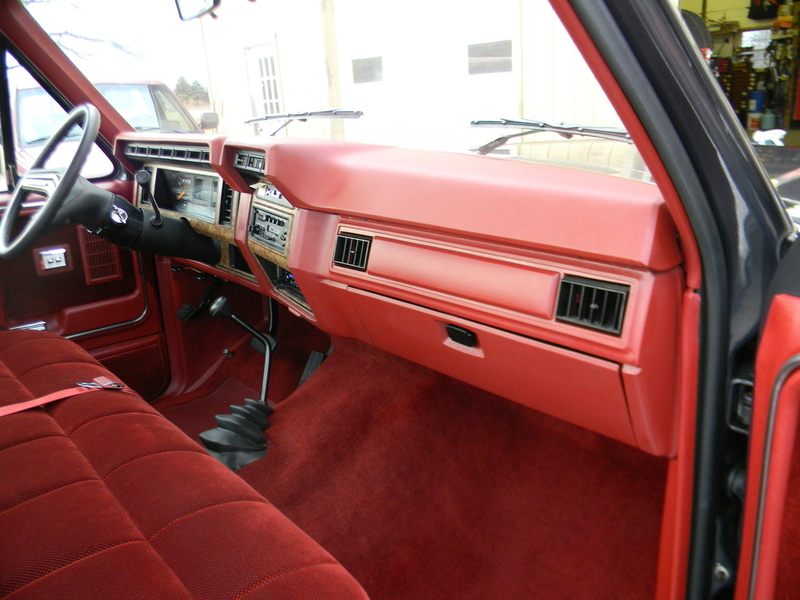 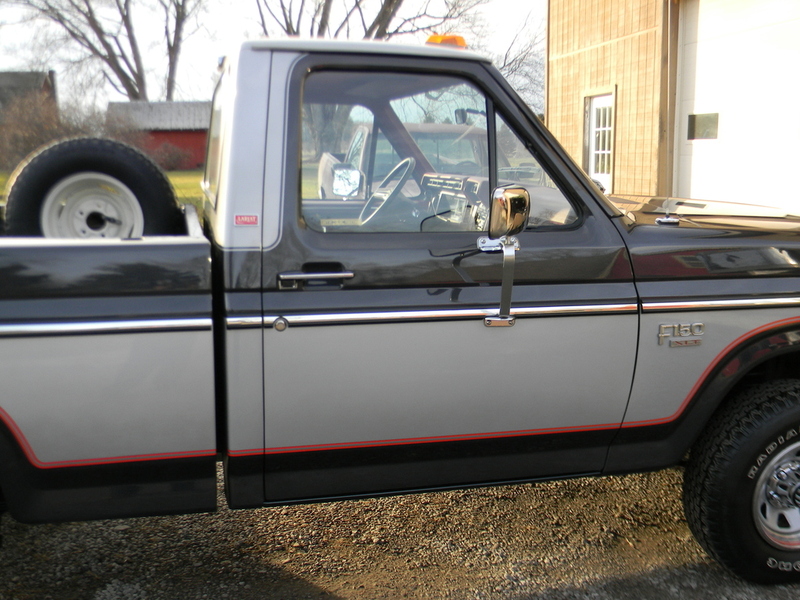 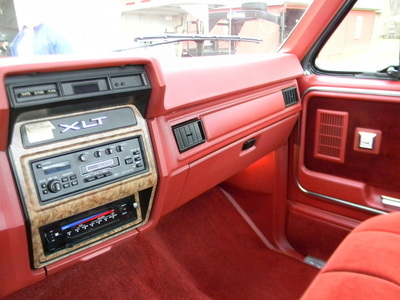 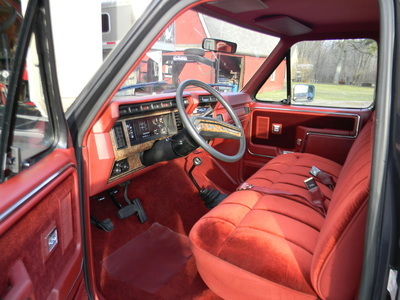 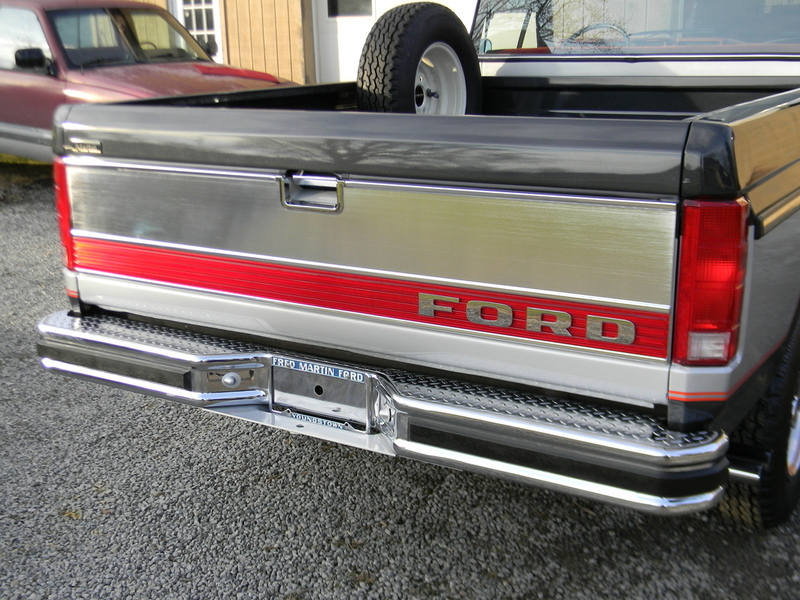 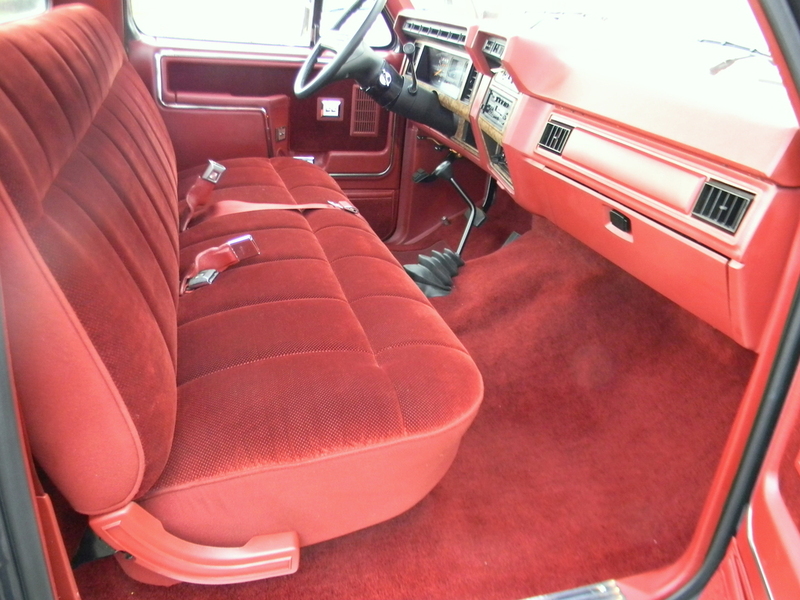 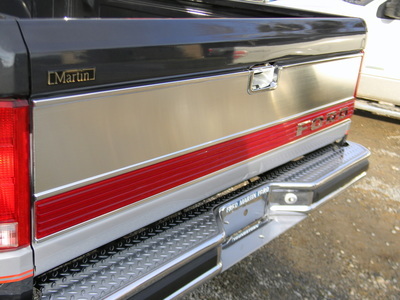 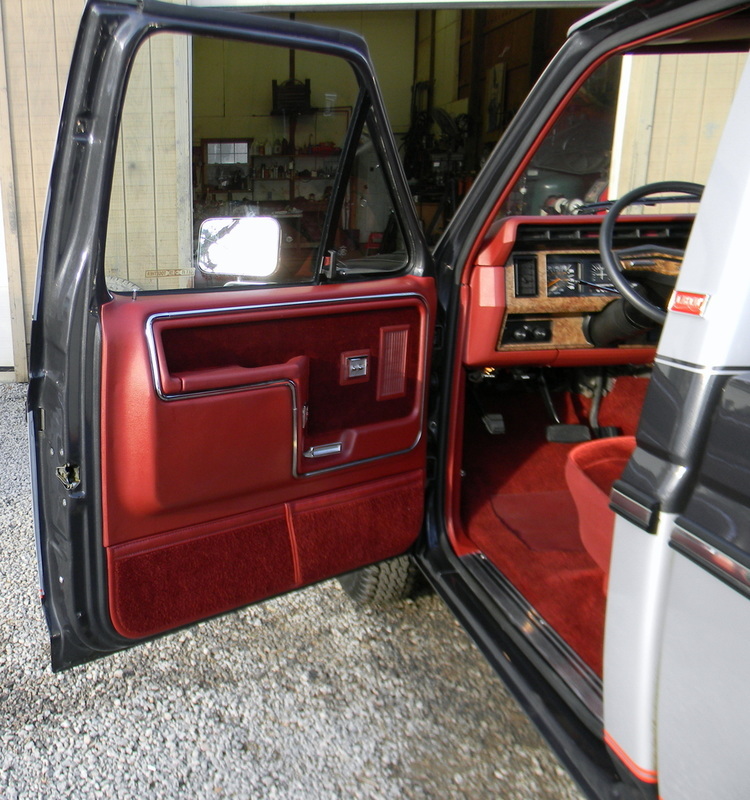 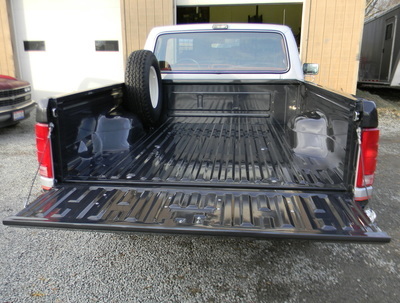 This 1985 ford truck is not your average f-150, This truck was custom ordered from ford with many key futures. 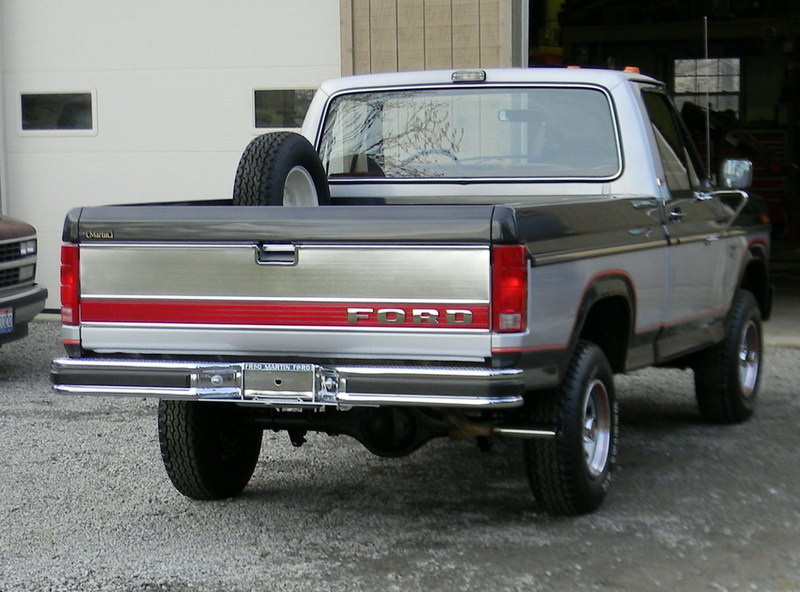 The truck is equipped with 4 wheel drive, posi front and rear differentials’, It also has a 5.8 ho motor with the Holley carburetor. 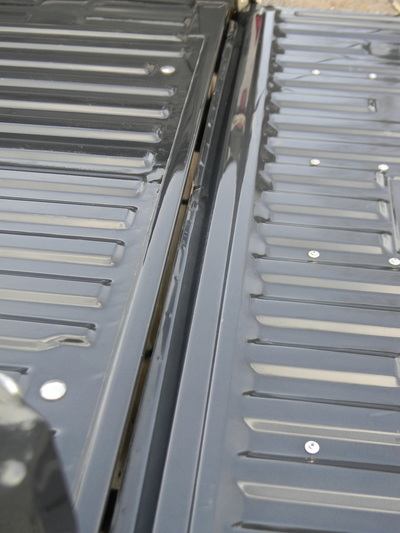 The trucks paint scheme was custom ordered dark charcoal met and silver met with painted striping on the top of the cab and around the door opening. 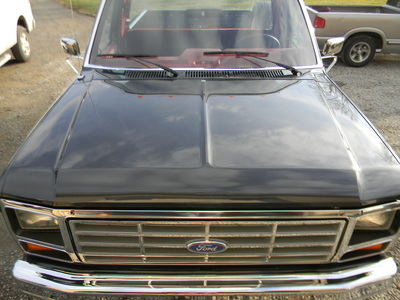 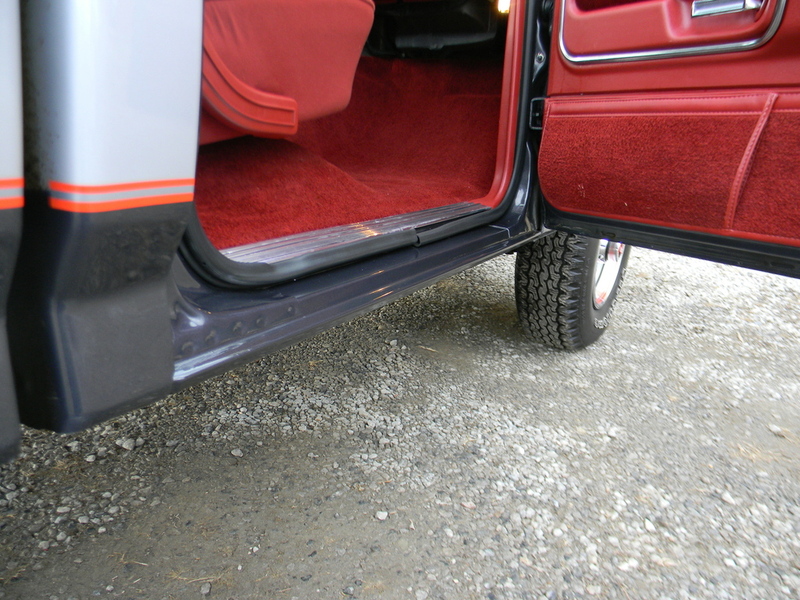 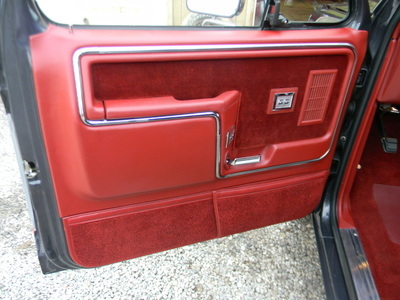 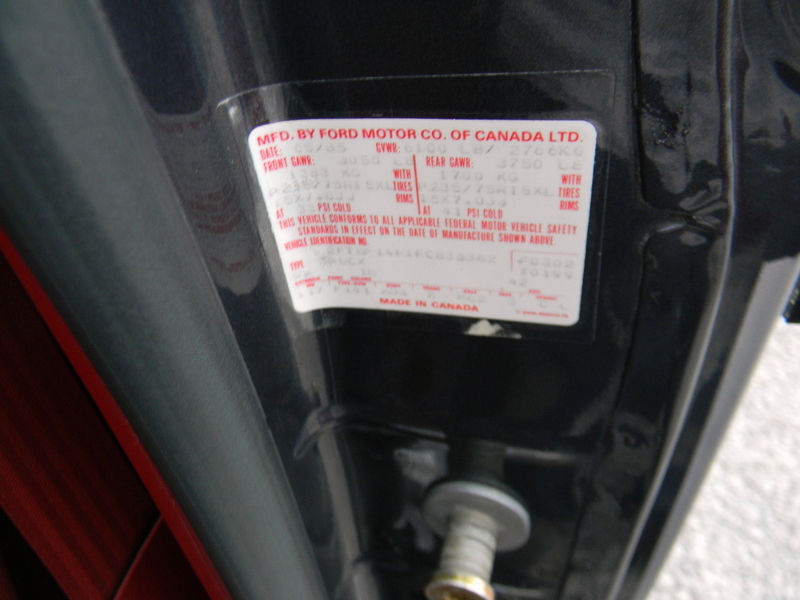 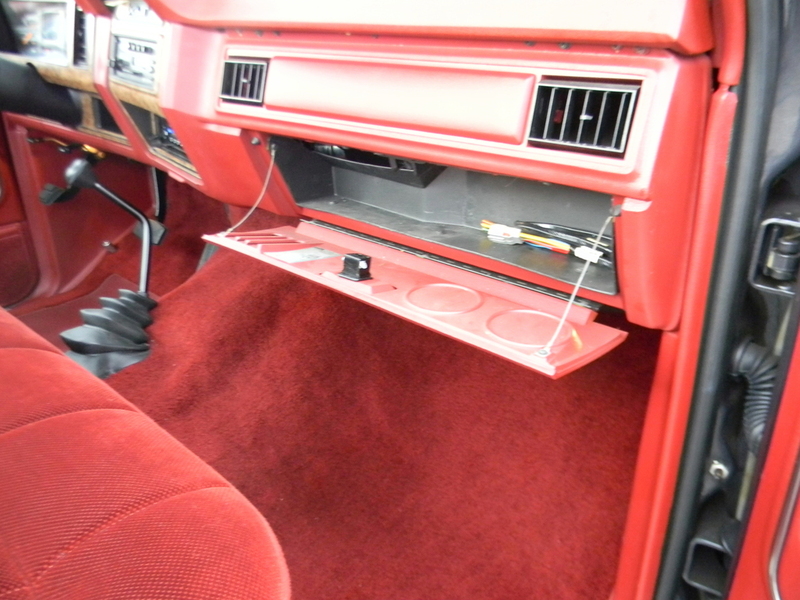 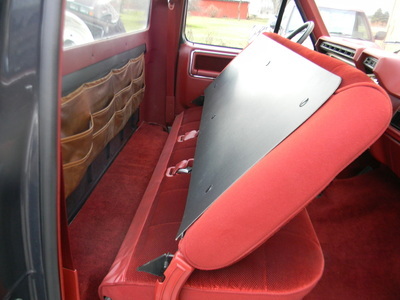 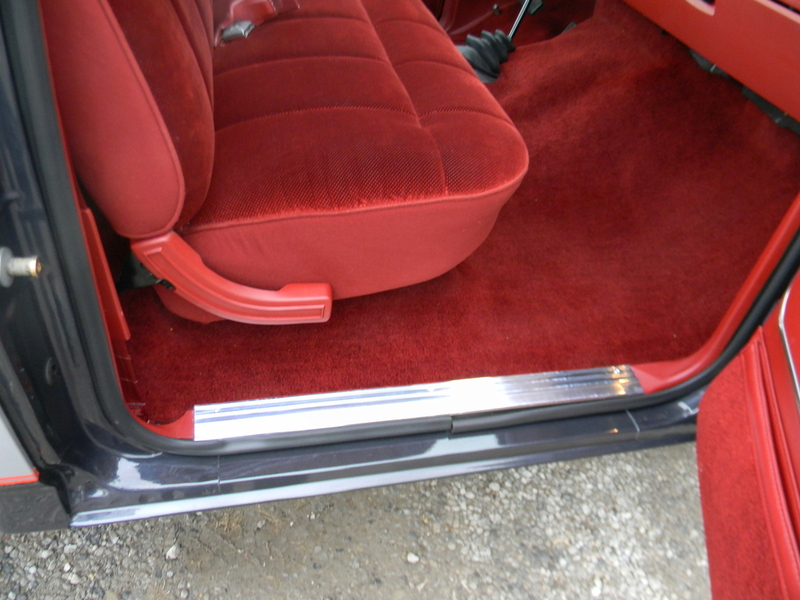 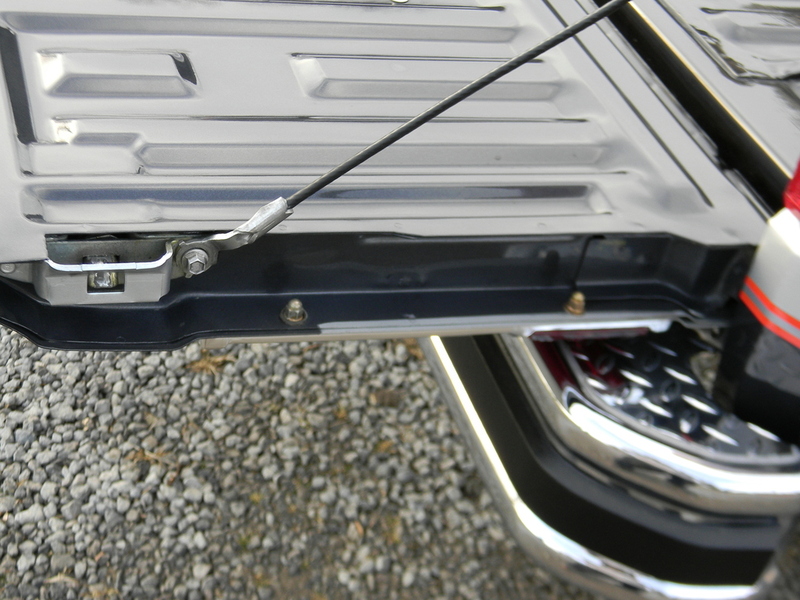 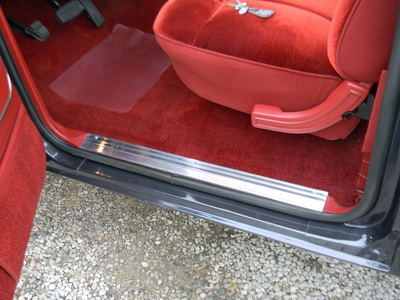 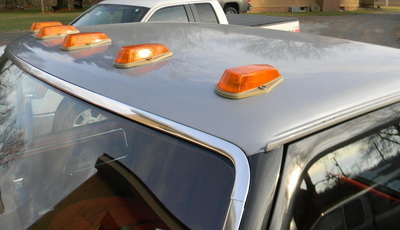 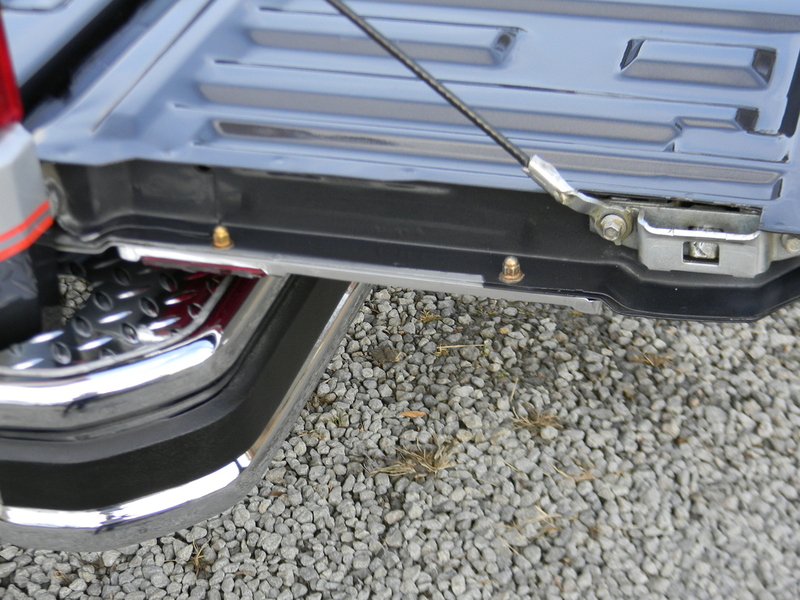 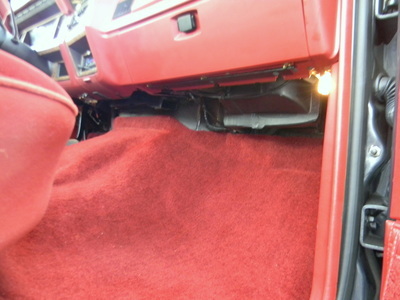 The red pin stripping on the sides was a one off idea by the owner who did not like the factory chrome molding offered by ford. 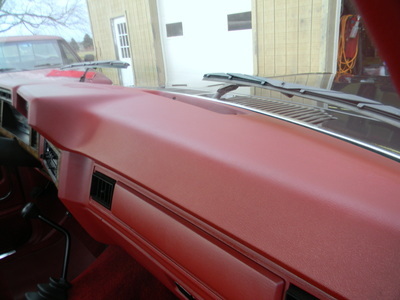 The stripping is factory ordered and was used normally on the step sides for that year I have not seen a style side with this scheme. 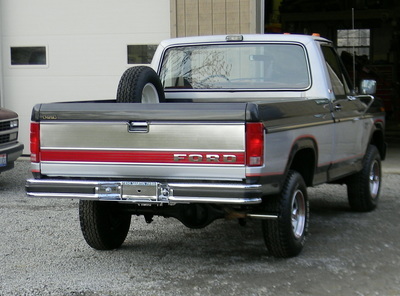 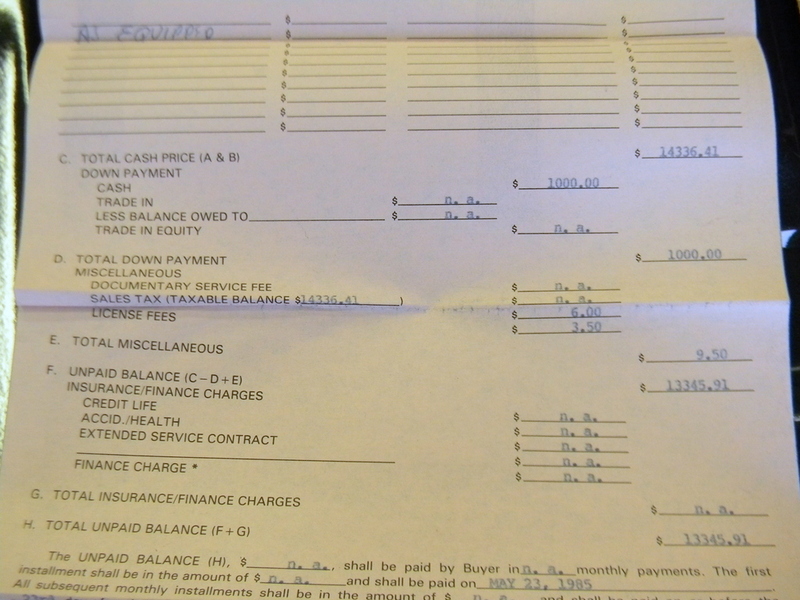 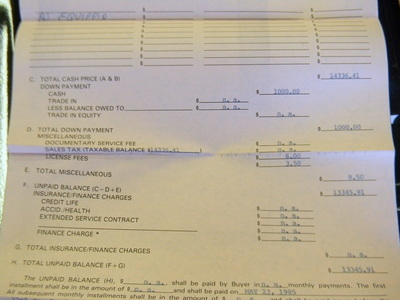 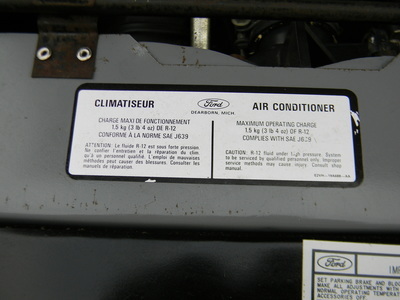 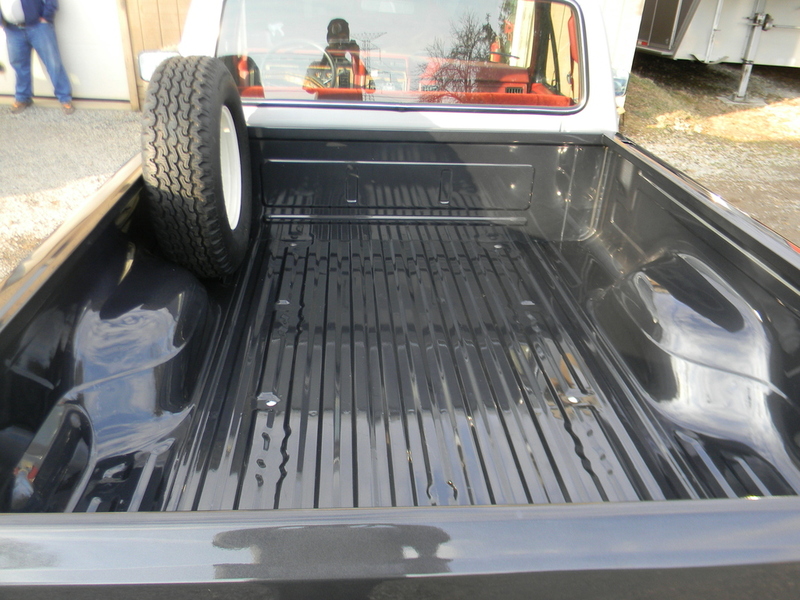 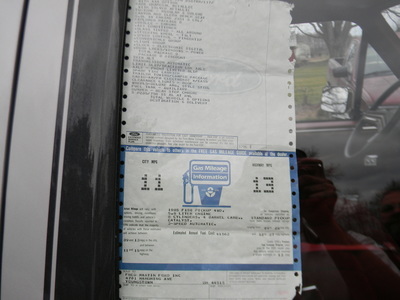 The truck has been stored since 1989 until November of 2015 when I purchased the truck from the original owner with all documentation even with the 1985 ford broacher for the truck. 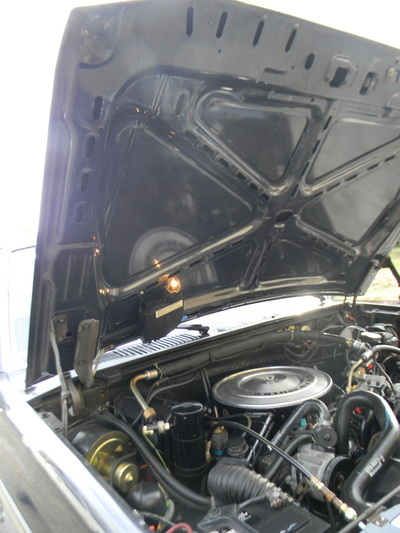 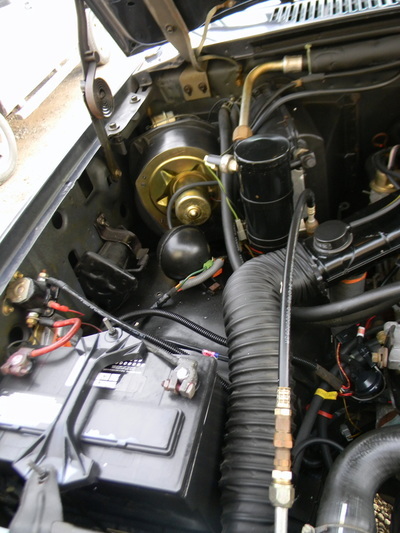 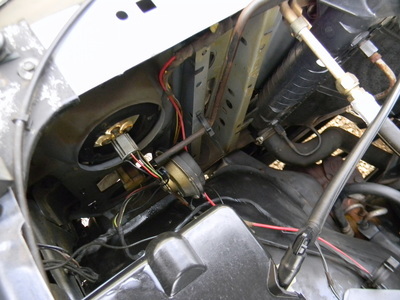 The truck has been professionally detailed and cleaned nothing has been altered that was factory except the carburetor was professionally rebuilt and the fuel tanks where replaced with correct tanks and sending units also a new fuel pump was installed these are the only parts of the truck that are not original. 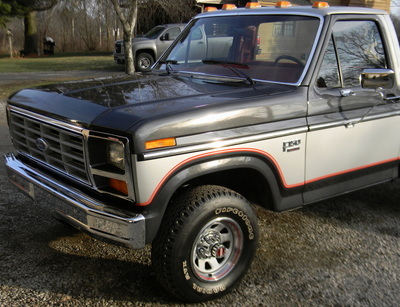 The tires and everything else is completely factory equipment even the spare is original with no dry rot, all seals and lights are in near perfect shape I would say it’s a 10 out of 10 for its age how ever the truck was used but very little and shows very little ware. The truck has some very tiny stone chips in the hood not very bad at all also in the bed it has some scratches but the original owner seemed to keep up with them with touch up paint. 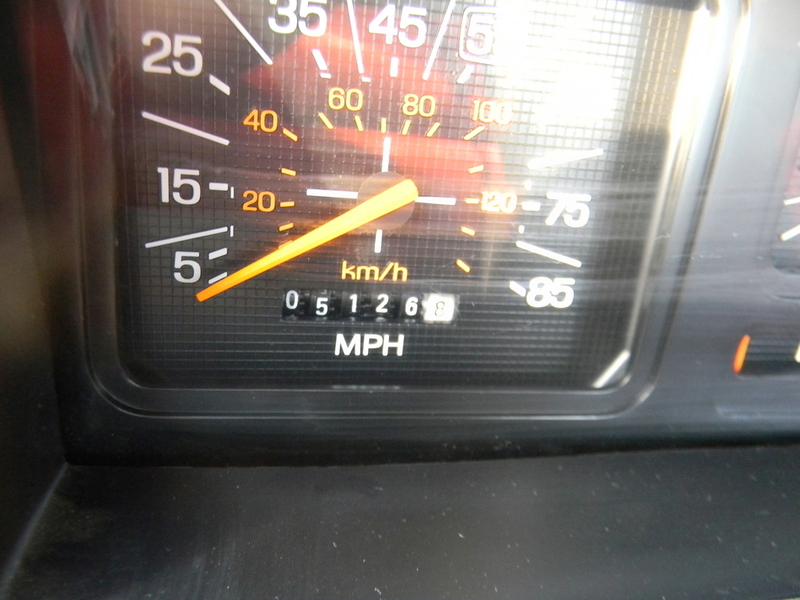 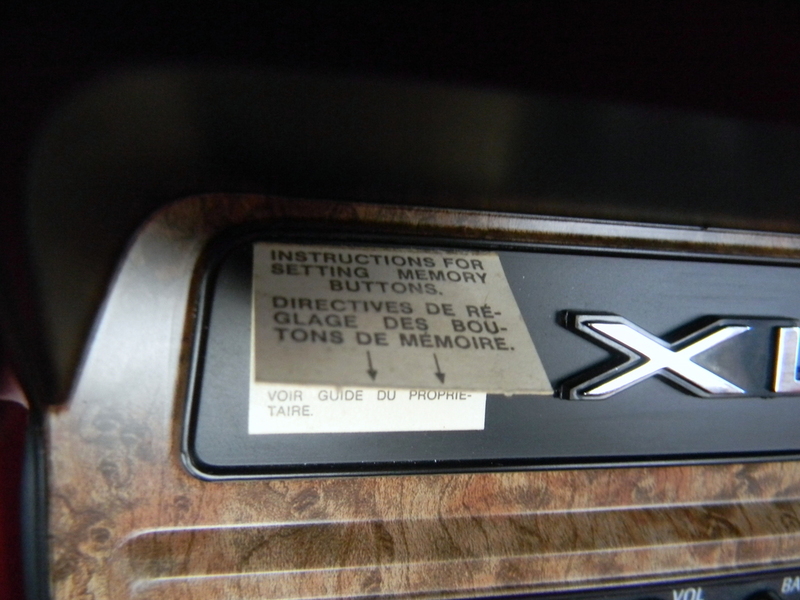 I did drive the truck around very carefully just to make sure everything worked properly. 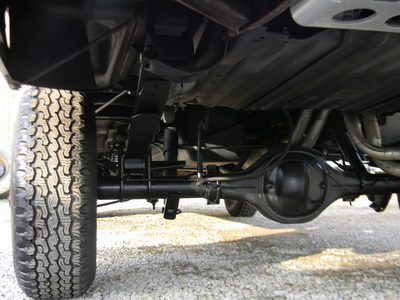 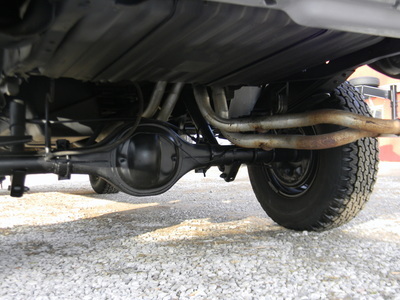 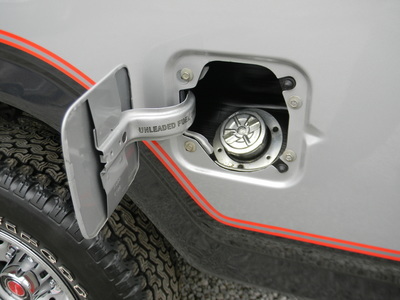 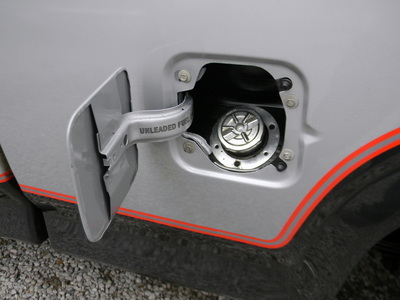 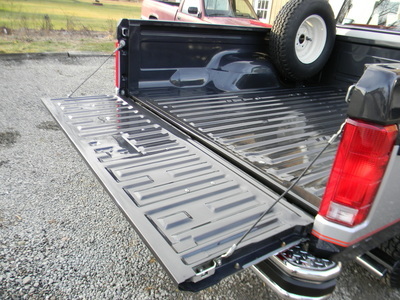 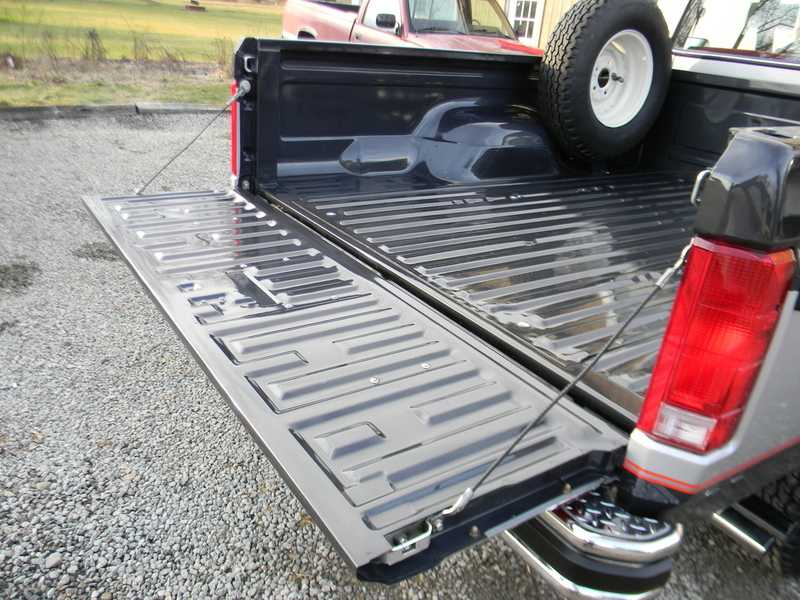 The equipment options on the truck are as fallows, it has the explorer package dual front shocks and the heavy duty sway bar front and rear it has the tow package and factory plug ins in the glove box for if you added a trailer plug in. 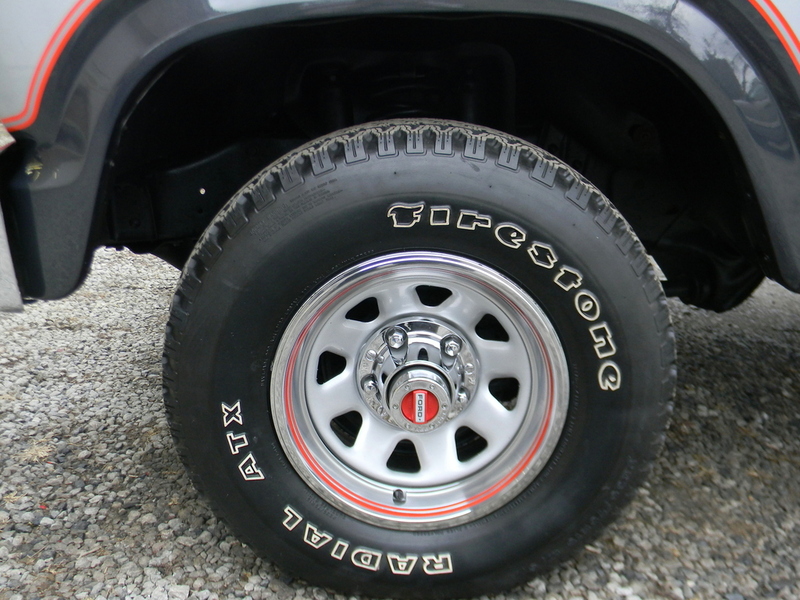 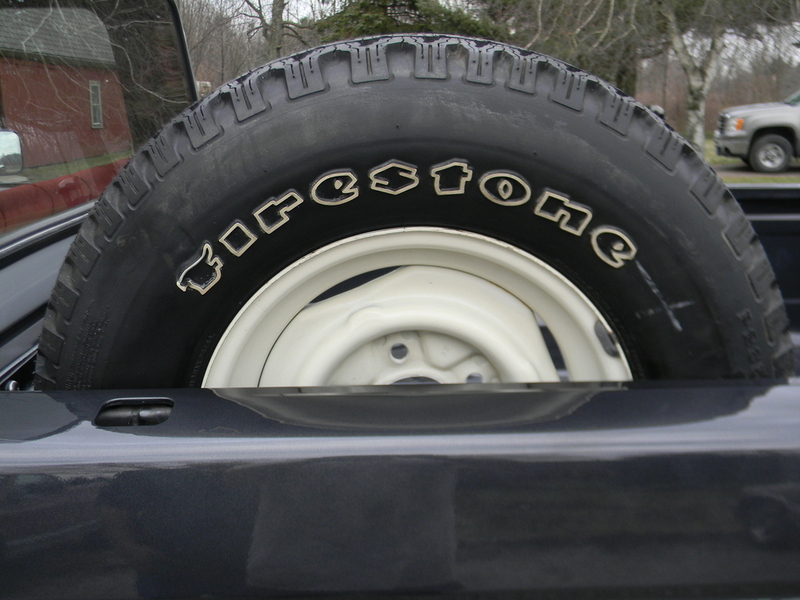 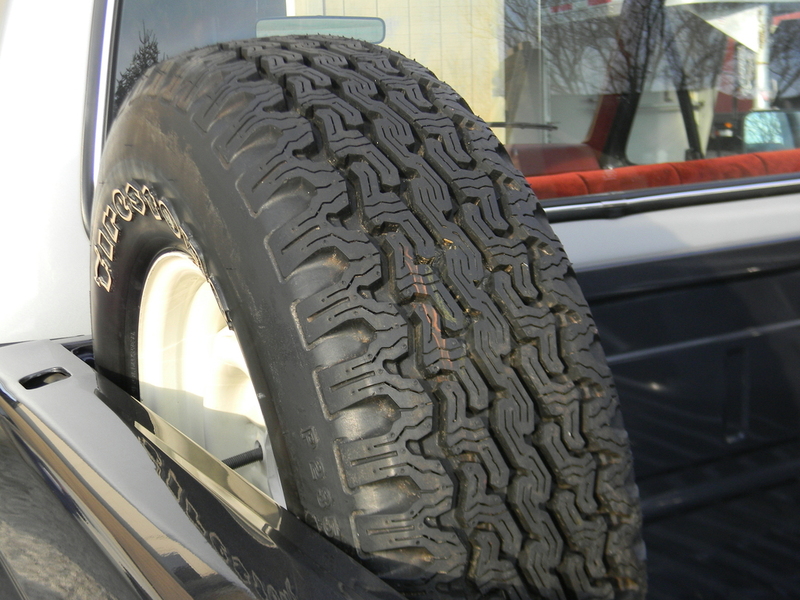 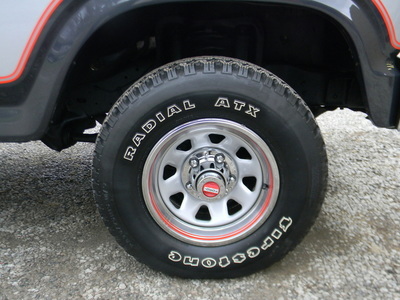 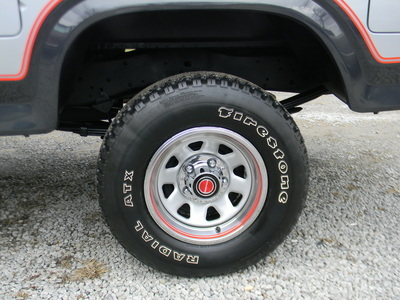 It also the deluxe argent styled steel wheels found on the lariat f-150’s all lariat options except the tack, it has factory cab lights and rear cargo light are also factory also has front lock outs in very nice shape also the under hood trouble light that is retractable. I cant explain enough about the truck in this add it’s such a true survivor and a perfect example of a f-150 I honestly don’t think another one exist I have looked all over the internet for its twin and I cant find one even close. This is a un restored un molested truck with only 5,126 miles Please do not hesitate to contact me for more information Happy bidding.